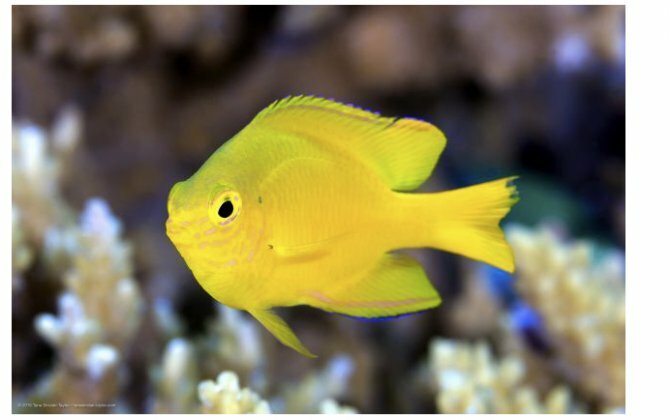 Long, hot summers can wreak havoc on the development of coral reef fish. In one of the longest studies of its kind, researchers at the ARC Centre of Excellence for Coral Reef Studies at James Cook University examined the impacts of water temperature, wind, rainfall and solar radiation on damselfish larvae around Lizard Island at the northern end of the Great Barrier Reef. "We found that when ocean temperatures warmed beyond about 28°C, the pace of larval development slowed," said study lead author, Dr Ian McLeod. "The findings are a concern," said study co-author, Professor Mark McCormick. "To see adverse effects over the current-day temperature range raises concerns about the serious negative effects we may see when the ocean temperature warms with climate change." Most marine fishes go through a larval development stage in the open ocean when they are more vulnerable to predators. Dr McLeod said the longer larvae remain in this stage the less likely they are to survive. "Faster growth during the larval stage should lead to a survival advantage because they can develop sooner and get out of the dangerous pelagic environment faster," he says. However there is a ray of hope. The researchers also found a high level of variability in larval development in relation to temperature and other weather conditions. "This high level of variability likely means that some fish will thrive in the changing conditions and pass on their genes to future generations," said Dr McLeod. The authors hope that the results for this study will be used to help predict the effects of climate change on larval development of fish.